A solar greenhouse is different from a standard greenhouse model because its only source of heat comes directly from the sun. Recently they are increasing in popularity due to the rise in heating costs related to electricity, gas or oil. Ecologically, a solar greenhouse is better for the environment with the absence of gas emissions replaced by the pure energy from the sun. Anyone can take advantage of capturing solar energy. The solar greenhouse maximises the exposure to the sun in a south facing direction. Glazing on surfaces allows a high degree of heat and light inside. The northern walls usually have extra insulation to reduce heat loss at night. An organic heat sink can also be installed to provide a more efficient source of energy especially during the night hours. 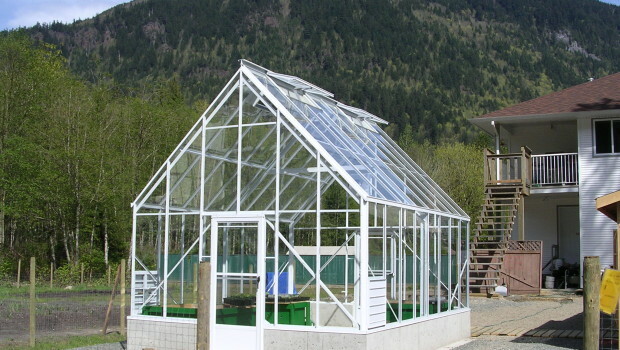 With the options of the new age of technology available today, a solar greenhouse is not only affordable to install but it is easy and economical to operate. Depending on the crops and time of year you are using your greenhouse, a solar greenhouse operation may be the most beneficial for you.